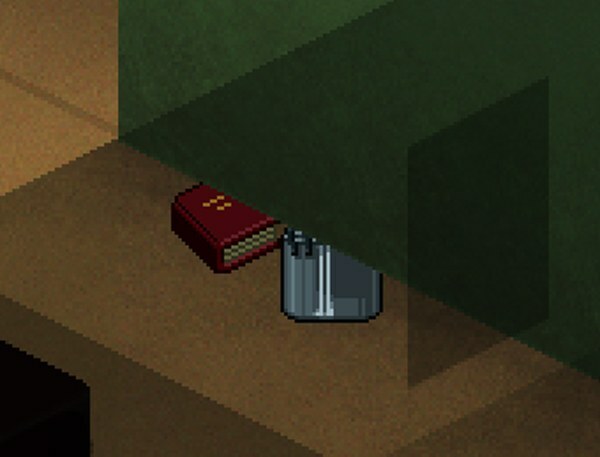 Anything that I drop on the floor (bags, weapons, bodies etc) are blocked by the wall textures. They are visible just fine when the floor texture is behind them, but anywhere that the visible sprite would be in front of the wall, it isn't there. I can still interact with the items normally so I know it is just a graphical issue. This began when the fog/weather went into the public build (I played with it the whole time on IWBUMS with no problem). I have removed all mods, did a fresh install, and started a new game but it still does it. I know that I most likely do not meet the minimum requirements for PZ anymore but I have always been able to play with no trouble so I am hoping this is fixable. I am on Windows 7 with an Intel HD 4400 and 8gigs of ram. I'm sorry but... what did you expect? The issue has been noted (the Pie thing) and added to the (huge) pile of things that need to be fixed. As it is not a gamebreaking thing but more of a visual one, it is less likely to be fixed in the near future. You are the first person to tell me that it has already been noted. I have been looking for an answer for months and have found nothing. What I expected was a response of some kind from customer support. I was in no way trying to be pushy.. just trying to know if this was on my end or something I should wait on. Thanks for the response. Edit: I did not realize that is what the pie meant either, sorry. The Pie thing was decided specifically to avoid the issue of "spamming" the forum with "thanks, for the report" messages.